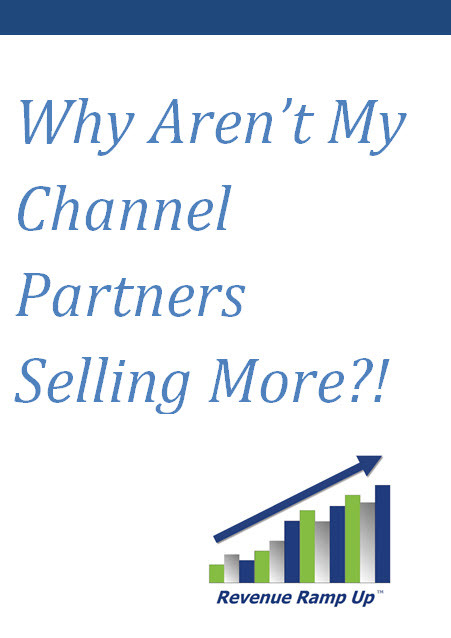 Why Aren't My Channel Partners Selling More?! 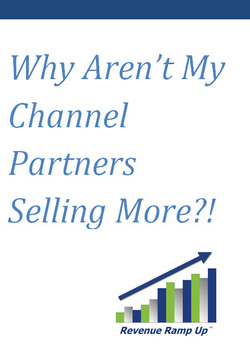 Have you invested substantial time and resource into building a channel partner program and have minimal sales to show for it? Do you get frustrated by being unable to diagnose what’s wrong with your channel strategy? Does working with the channel seem like a lot of work for very little return? If you answer “yes” to any of these questions, then I think you will find this article worth reading. In the B2B software business, there is a very long list of failed channel partnerships going back as far as the 1980s. Many software makers have invested large amounts of precious time and money in trying to build channel relationships to grow their businesses, only to be disappointed at the dismal business results that followed. Why are successful channel partnerships so rare in the software business? Over the years I have repeatedly heard a very common frustration from software company senior executives about the lack of value delivered by channel partners. The relationship often starts with executives from both companies sharing excitement and enthusiasm as they envision the amount of sales, profit and strategic value that will result from the partnership. Somehow, the positive energy from those initial meetings doesn't get translated into the hard work, focus and follow-through required to realize the benefits that both firms desired. The purpose of this article is to articulate the major issues in building channel partnerships within the software industry and to highlight the critical success factors that must be addressed. Proactively engaging these factors will significantly increase the odds of a mutually beneficial relationship. The business issues addressed herein can be broken down into four categories: Profiling, Expectations, Commitment and Change. In my experience, the single biggest reason that channel partnerships fail is because the partners don’t accurately define up front the value that each entity will bring to the relationship. I have too often seen small software companies get enamored by initial interest from a much larger company – “big dollar signs floating in their heads” – but fail to define any significant value that they will bring to that larger enterprise. You must have a compelling answer to the question “What can we do for them?” – Not just selfish interest in what they can do for you. The software-as-a-service (SaaS) model makes this even more critical because the revenue is realized over time. Gone are the days of the big check up-front which could be shared between the software vendor and the reseller. I learned this lesson the hard way in the early 2000s while leading Sales for a small SaaS software firm. The Director of Business Development on my team had identified and engaged a very large technology services company that had thousands of customers who were ideal prospects for our offering. I got so caught up in the sales potential that I didn't stop long enough to clearly define how we would add value to this much larger company. The result was several months of wasted precious time and money with not a single sale to show for it. If this mutual value and synergy are not defined and agreed upon early in the relationship, then in most cases the partnership will flounder over time. Another important element in Profiling centers on the cultural fit between the organizations. Is there alignment between the mission and values of the firms? What is the view of customers, employees and other stakeholders? At some point, regardless of the strategic fit and business potential, if the cultures are incompatible, major issues will emerge. Once you have identified a short list of potential partners across multiple categories and engaged them to define and validate the ‘Win/Win’ value exchange of the relationship, the next step is to agree upon the specific expectations that each party brings to the table. This can be a point where you really begin to understand just how important the relationship is to each party. When specific figures for sales projections and customer deals/projects get put on the table, it quickly becomes clear whether the partners are in the same ballpark about the results that each wants. Absent this type of quantifiable discussion, it is easy to make assumptions which will do harm to the partnership further down the road. As business results are agreed upon, it is then vital to define the key steps that must occur to get the partnership producing. In measurable terms and timeframe, starting with onboarding and training, it is critical to agree specifically on what will be accomplished by whom and by when. New habits are being formed in the early stages of a relationship, and if discipline and accountability are lacking, it becomes easy to begin making excuses and place blame for things not progressing as planned. Clear and frequent communication is a critical factor as you work to get the partnership off the ground. Frequent recurring management-level status meetings will help to ensure that issues don’t linger unaddressed. Are both parties jointly working toward achieving a mutually agreed-upon set of goals and objectives over 90-day, 6-month and annual timeframes? Finally, an implicit part of healthy accountability is the growth in relationships among key players in each organization. When issues develop, the ability to speak the truth with a spirit of what is best for the partnership is crucial. This is an example of where cultural differences will begin to emerge. A recent client of mine had signed up over 70 channel partners during a two year period. Unfortunately, less than 5 were producing any meaningful sales. When I probed into the root causes, it became clear that there had been minimal profiling done, no planning or agreement on business objectives and no accountability for results. What did exist was substantial frustration by senior management. As the partnership goes to market, there are a few things that will predict success. First, the mutual willingness to do what it takes for some ‘early wins’ that validate the relationship and build momentum is essential. Oftentimes, this means the software company “teeing up” a deal or two for the partner. While in the immediate term this can have a negative impact on deal profitability, over time it can be invaluable for the relationship because it demonstrates commitment and builds confidence. Second, the discipline and patience in doing the hard work of learning about each other’s business and how to effectively interact, internally and with customers is vital. In essence this means building new operational muscles – it takes time and a belief that the benefits will come as the partnership gains traction. Third, ongoing executive involvement will prove that the relationship is a priority and that the early excitement wasn’t just arm-waving. If the individuals on the front lines get a sense through the actions of a senior executive that a channel partner is no longer important, then it doesn’t take long for that to be translated into deprioritizing that partner’s work, thus jeopardizing the partner’s success. It must be kept in mind that getting a channel partner off the ground and producing is more about effecting change in people than it is about the quality of the combined software and services solution. Success does strange things to people, and thus, to organizations, particularly in channel partnerships. I experienced this firsthand early in my management career as a Regional Sales Manager for a successful, highly-profitable, mature software company. In my region, we had a channel reseller whose business had essentially been built on the resale of my company’s software. They enjoyed fantastic margins and didn’t have to do much to keep their customers renewing their annual maintenance contracts. As the years passed, the relationship turned on itself as the reseller’s primary concern was to maintain the sweetheart deal they had with our company. Over time, they mistrusted most of the Channel Sales team and had distorted the role they had played in the success that they enjoyed. Taking care of their (and our) customers was secondary. The timeless allegory, Who Moved My Cheese? by Dr. Spencer Johnson, was playing out in front of me. The nature of the software industry is intense, rapid and ever-changing. During the 1990s when I was in sales at IBM, Microsoft was viewed as a fierce, aggressive competitor that would stop at nothing to win business. IBM was viewed as a slow-moving, out-of-touch dinosaur. Fast forward a short 20 years and Microsoft is being called an elephant that can’t keep up with the rapidly evolving software market. How many channel partners do you think Microsoft made hugely successful from the early versions of Windows? Do you think the relationship with many of those same partners went south as Microsoft struggled to successfully bring new products to market? In any partnership, over time as both firms realize success in their respective businesses, it is unfortunately common that the relationship drifts apart. There almost has to be a rebirth centered on future potential. Successful technology businesses and channel partners have to reinvent themselves and their mutual commitments in order to thrive and grow. The good news is that you can immediately change your approach to recruiting and managing channel partners. The issues and suggestions set forth in this article are all about execution – things you can put in place early, and then improve and control. Send me an email if you’d like to discuss how this article relates to your situation or to assess your current channel challenges, strategy and management. This is what I do, and have done for over 20 years in the software world, and I’m happy to share any insights that might move your sales team toward success. This paper will not address the software/technology aspects of channel partnerships. Technical and operational due diligence need to be done by both parties to confirm that the software and services will be performed as expected by each partner, given their specific industry or market focus. The cumulative negative impact of failing to qualify sales opportunities reaches far beyond the sales organization. It goes right to the CEO’s office, who is ultimately responsible for the growth of the business. 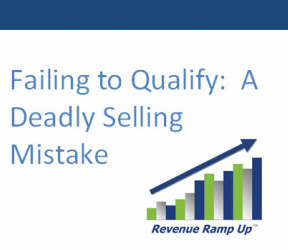 Failing to qualify is a silent killer, mainly because it is the root cause of many downstream sales problems. 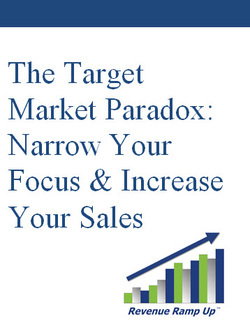 While it is a simple concept to grasp, it is one that is frequently done ineffectively by sales professionals. This is exacerbated by the fact that today’s organizational structures are much more complex than past “Command and Control” top-down management structures. In my years of leading sales teams, as well as being a sales management consultant, the single most critical mistake that I see repeatedly made by those in sales is the failure to qualify sales opportunities. Whether you are selling a SaaS offering, professional services, enterprise software or any other product, not having a clear understanding – as early as possible in the sales process – of the fundamental buying elements required to close a sale is very dangerous. As importantly, these questions must be continually asked throughout the sales process, during which change is constant. Budget/Funding: Does the prospect have the ability to pay for what you are selling? Has the funding been set aside to purchase now? Is it in the budget? If not, what needs to happen to secure funding and when will it be made available? In my consulting work, I often hear sales reps say that they asked the question once, early on, and then just assumed that the money would be available. Effective sales people never make assumptions about qualification criteria. Decision Making Process: What are the specific steps that must occur in order to get the buying decision made? Who needs to do what by when in order for the contract to be signed? Who is involved in recommending the purchase? Who is involved in making the decision to purchase? Is the final decision made by an individual or a group/committee? In today’s highly matrixed organization, the buying process is often distributed among several functions and individuals. The days of a single decision maker are largely over. Timing: When will the prospect make the buying decision (sign the contract)? When do they plan to implement the solution? Is there a compelling project/event/deadline with which this purchase is aligned? I recall doing a forecast review with an account executive recently, when we got to one of his big deals that he was projecting to close in the next two weeks, I asked him “ when do they want to implement?” He said, “they love our solution, I’m sure they want to get it installed ASAP.” Unfortunately, the reality was that they had other priorities and were not going to purchase or implement for another 90 days. Effective sales qualification and making assumptions don’t go together. Solution Fit: Does your offering address the prospect’s requirements? Has the prospect confirmed that your solution addresses all critical requirements? What is the business driver with which your offering aligns? Is the perceived value of your solution large enough to cause them to purchase? Successful qualification is preceded by the sales rep doing an effective job of establishing rapport, generating interest and building credibility with the prospect. If these steps are not done well, the salesperson will frustrate or annoy the prospect and do damage to moving the sale forward. In short, a salesperson has to earn the right to ask qualifying questions. Once the initial steps are done, it is vitally important early in the sales process to get to the moments of truth that qualifying offers. In my opinion, gaining answers to the questions above is the single most important output of the first half of the sales process. Getting the prospect excited about your offering’s whizbang features, functions and benefits isn’t even a close second. However, you would never know this by observing the behavior of many sales reps. Missed financial projections: Failing to hit sales targets directly impacts a company’s financial results. And there is a direct link between not hitting sales numbers and not effectively qualifying sales opportunities. Missed sales forecasts: no matter the product or industry, unqualified deals are one of the main reasons that sales managers fail to hit the projections to which they commit. Wasted resources, time and money: how often are those who support sales frustrated by time spent on sales opportunities that never close? Part of the ‘silent killer’ nature of failing to qualify is the unseen, but dramatic, waste of a company’s people and resources. Increased cost of sale: if it could be measured, the aggregate negative financial impact of not qualifying would boggle the mind of most in senior leadership. Reduced sales leadership credibility: missing sales projections is the fastest way for a sales leader to shorten his tenure. Missed opportunities: time spent on bad business that isn't qualified takes away from working on deals that are real, will close and are good for the company. Deals take on a life of their own as time passes and they get deeper into the pipeline. The further into the sales process a deal is, the less willing sales reps are to ask the hard questions (because of answers that they are afraid to hear). Sales people are optimistic by nature – sales management needs to instill the discipline of qualifying in the sales organization. Prospects will treat you the way that you allow them to: If you are willing to give them free consulting and access to resources without understanding their interest and ability to do business with you, then shame on you! 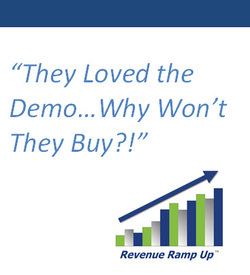 They Loved the Demo...Why Won't They Buy?! This article discusses the common error of ineffective salespeople -- the mistake of leading with the product, instead of solving the prospect’s business problem. It is all-too-common in the B2B software world – especially among startups or established companies that are launching new products. And it has gotten worse with the dramatic growth in the Software-as-a-Service (SaaS) market. In a sales situation, there are two processes occurring simultaneously: the buying/selling process and the product evaluation process. It is critical to understand that the former must drive the latter. Most often, a prospect who is seriously considering purchasing will perform a structured product evaluation in the context of a formalized project in which business, functional and technical requirements have been defined. You may want to read the complete article HERE. One of the most crucial decisions that start-up companies, or divisions launching a new product in established businesses, need to make is where to target their sales and marketing efforts. Specifically, to decide the vertical industry, geography, company size, functional group and title(s) of where to focus finite resources. This is doubly important for organizations that have created something that doesn’t currently exist – there is no category or context within which a prospect can evaluate it. The tendency of many companies, young and old, is to avoid the decision to target a specific market, but rather to try and be “all things to all people”. It has the false feeling of appearing less risky. Nothing can be further from the truth – this fatal decision has been the death knell of many start-up companies and new product attempts. This go-to-market strategy is doomed to failure and will end in poor sales results, frustrated senior management, wasted sales, marketing and product development resources, a demoralized team and burning through precious capital and time. For more on this topic, and to review important criteria to consider when making the target market decision, you may want to download my full article HERE. Mike Andrews: Proven sales leader. Experienced writer, speaker, consultant and trainer in all areas of sales growth within B2B enterprise companies.